Cycle through Lake Neusiedlersee National Park, Austrias' latest World Heritage Listing. Spending a great time in the puszta with unforgettable sunrises, a great landscape, and the sunny, mild Pannonian climate. 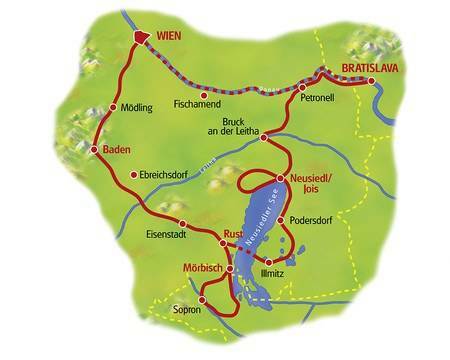 The bike tour will begin by the Danube Island and takes you on bike paths to Schönbrunn. 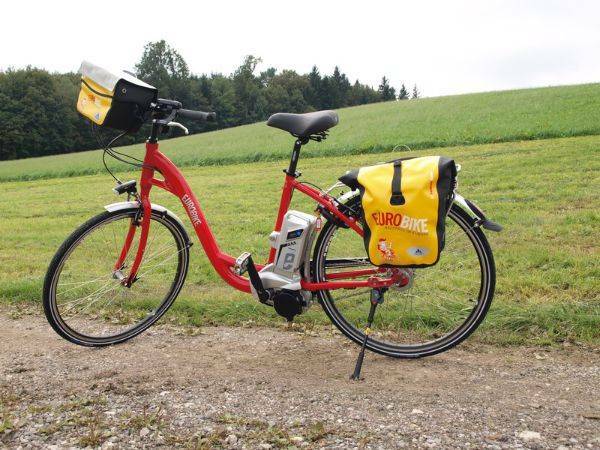 After a sightseeing tour (not included in the tour price) you will first cycle slightly uphill, and then on a winding bike path down to the city of Baden. The old spa town in the Vienna Woods can tell a long story. It is certainly no coincidence that here Beethoven completed his "Ninth" with the Ode to Joy. The famous Casino of Baden, the beautiful Roman spa and the thermal spa in the Art Deco style from 1926 with which the Viennese nobility once brought the Adriatic beach to Baden, are worth seeing. Or: Board the local train (Badner Bahn) at Josefsplatz, which already in the days of Emperor Franz Joseph brought its passengers directly, in a one-hour drive from the Vienna Opera to the Casino Baden. Purchase tickets yourself at the train station. Your bikes will be transported to Baden. 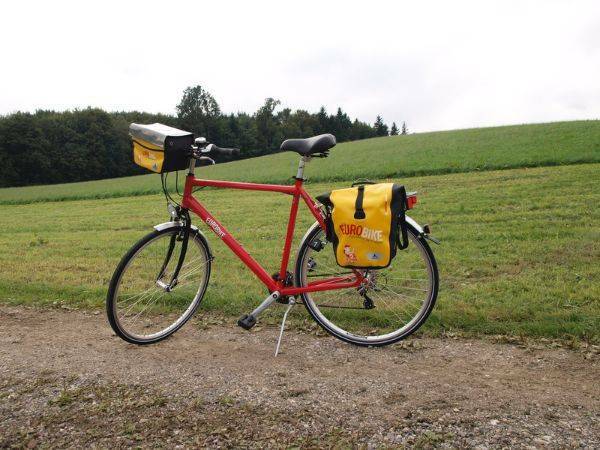 You will leave Baden on beautiful bike paths and a little later you will find yourself in a completely new landscape. The atmosphere at Europe's westernmost steppe lake almost feels a little strange, since here, at the foothills of the Leithagebirge mountains, the Hungarian puszta starts. You can visit Eisenstadt (Esterhazy Castle) and St. Margaret (Roman stone quarry) or other sightseeing destinations (not included in the tour price). The Burgenland wines are world famous. While driving through the hilly vineyards, you can enjoy a magnificent view over the lake. Rust and Mörbisch are probably the most charming wine towns in Burgenland. Via or from the Festival City Mörbisch, where every summer an atmospheric operetta festival is held at the famous floating stage, you will cycle through soft vineyards with stunning views across the lake to the Hungarian border. Soon you will reach the former city of Ödenburg (Sopron) and its absolutely lovely old town. Today's Sopron invites you with its bustling streets and beautiful places to stay. Back to Mörbisch / Rust you will cycle on a beautiful bike path through the pretty lakeside scenery. In the morning you will take a ferry to Illmitz. Today, it’s all about the national park “Neusiedlersee-Seewinkel”. The patios of birdwatchers are the only elevations you will find. Moreover, it should be noted that here, as well as on the slopes of the west side, between Podersdorf, Illmitz and Apetlon in the flat plains of the vineyards, excellent quality wines are produced. Some Trockenbeerenauslese wines of this area enjoy an excellent reputation. You will also come across some smaller or larger salt lakes (called Lacken) which are about 50 cm deep. This attraction of Seewinkel helped the region to its unique flora and fauna - and of course the “Lacken” bike trail to its name. The bike path will take you past wetlands, pastures and vineyards. A day to relax and recover: numerous leisure activities provide variety. The lake is a paradise for sailors, surfers, and swimmers. Cyclists may want to ride their bikes around the lake on the pretty Kirschblütenweg cycle path. Relaxed and refreshed, the route will lead you via Rohrau (birthplace of Joseph and Michael Haydn) into the "Roman Carnuntum", where once the amber and the limes roads crossed (Haidentor - a huge triumphal monument). At the Open Air Museum Petronell, you can visit a faithfully reconstructed Roman urban quarter (not included in the tour price). The border town of Hainburg is located directly on the Danube, just a few kilometers from your final destination Bratislava. We recommend an evening stroll through the beautiful old town. You will cycle on paved roads, gravel bike paths in good condition, and sometimes on side roads. The terrain is mostly flat with no major climbs. There are some short climbs along the Leitha Mountains and in the vineyards. The route is completely on tarmac roads/surfaces. The route is marked out with red E-arrows. Today there are two sections on gravel roads, the first from the 6.3km point where there is a really poor surface, then from the 15.2km point where the surface is good. The route is marked out with red E-arrows. Excursion Sopron Approx. 35/45 km Mostly hilly route. after Sopron there is a long downhill section of approx. 6km, in Fertorakos the is one steady climb of approx 2km. Please refer to the route description in Sopron. The route is marked out with blue E-arrwos. climbs, the return journey to Jois is flat. Today you entirely follow cycle path B12 on the way and B10 for the return journey. The route is marked out with blue E-arrows. Please keep in mind that toll stickers are compulsory on Austrian motorways! A 10-day toll sticker costs €9,20 and a 2-month sticker costs €26,80. From Vienna airport (Wien Schwechat) take the City-Airport Train to the city centre, then take U1 to Kaisermuhlen/Vienna International Centre station. Approx. 21 kilometers, costs per Taxi approx. €20. 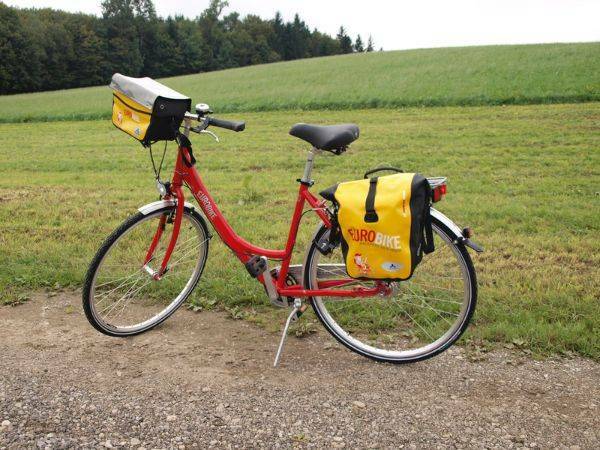 The Lake Neusiedl and the Austrian Borderlands cycling holiday includes the daily transfer of luggage to the next hotel and local support if required.